Looking for a bit of retroactive jealousy help? 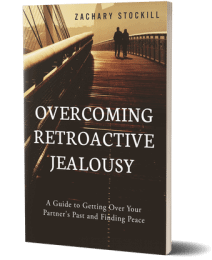 If you or your partner is suffering from retroactive jealousy, and looking for some retroactive jealousy help, you’re in the right place. My name is Zachary Stockill. 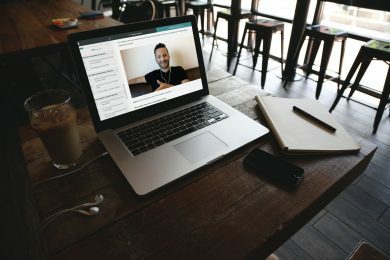 I’m the author of Overcoming Retroactive Jealousy, the creator and host of the video course ‘Get Over Your Partner’s Past Fast,’ and the founder of RetroactiveJealousy.com. I also host Humans in Love: A Podcast for Passionate People. Since 2013, my work has helped hundreds of thousands of men and women from over 180 countries overcome retroactive jealousy, and enjoy happier, healthier lives and relationships. My work has been featured in BBC News, The Huffington Post, Huffpost Live, The Sun, and many other publications. 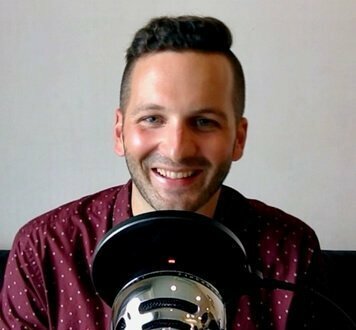 I’ve been interviewed on some of the most popular self-improvement podcasts including The Art of Charm, ManTalks, Knowledge for Men, and more. I’m passionate about helping people overcome jealousy and obsessive thinking in their relationships, and leading happier, more peaceful lives. On this page, you’ll find my answers to the most frequently asked questions I’ve received since I launched this site back in 2013. If you’re brand new to my work or the idea of ‘retroactive jealousy’ in general, this is the place to start. In a nutshell: the term refers to being bothered by thoughts of a partner’s past relationships and/or sexual history. Read this article to learn more. My work, and this website, primarily deals with what is often referred to as “retroactive jealousy OCD,” which refers to constant, often obsessive thoughts and curiosity regarding a partner’s past. Read more about the three different types of retroactive jealousy here. And read more about me, and my story, here. I had no idea retroactive jealousy was actually a ‘thing.’ For years, I thought I was just nuts or something. Are you for real? People other than me really go through this? In the past year alone, this little site has had around 200,000 different visitors from over 180 different countries. Thousands of people have bought and read my guidebook. And my online course has attracted over 700 students from all over the world. So, yes. You’re probably not crazy. And you’re certainly not alone. OK… I need some retroactive jealousy help. How did you manage to overcome retroactive jealousy? You’re serious? People really can get over this? If you need more testimony, you can see, hear, and read dozens more retroactive jealousy success stories on this page. Ninety-nine times out of one hundred, I’ve read an email about a similarly “unusual” situation dozens of times before. Which is to say: you might think your particular circumstances are unusual or out of the ordinary, but I’m here to tell you that they’re probably not. Retroactive jealousy is a weird one. It impacts different people, in different ways, at different times. But the truly astonishing thing I’ve learned is that the cure for retroactive jealousy is pretty much the same for all of us. Hundreds of students taking my online course and thousands of readers of my guidebook have taught me that. 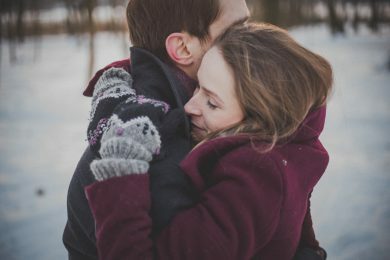 I need some retroactive jealousy help, but I’m not sure if I’m dealing with ‘retroactive jealousy,’ or if my partner’s values and my values are out of sync. What do you think? At this point, that isn’t really important. The bottom line is you need to get a handle on your brain before you can see clearly enough to decide whether or not your partner’s values are incompatible with your own. Whether or not you decide to stay with your partner, right now you need to find a way to move forward. I wrote an article about values which you might find useful. Does retroactive jealousy always involve OCD-like symptoms? No. Everyone’s experience of retroactive jealousy is a little different, and some people experience certain symptoms that others do not. Although I once dealt with retroactive jealousy at the extreme, OCD-like end of things, others have a slightly more benign (but often no less frustrating) experience of retroactive jealousy. My task is to provide insights, conclusions, and strategies that you’ll find helpful no matter how severe your experience of RJ is. Learn more about the different types of retroactive jealousy by clicking here. I’m not much of a reader. Do you have anything I can listen to or watch instead? Click here to listen to an interview I did for the ManTalks Podcast. Here’s another one I did for the Laugh at Adversity podcast. 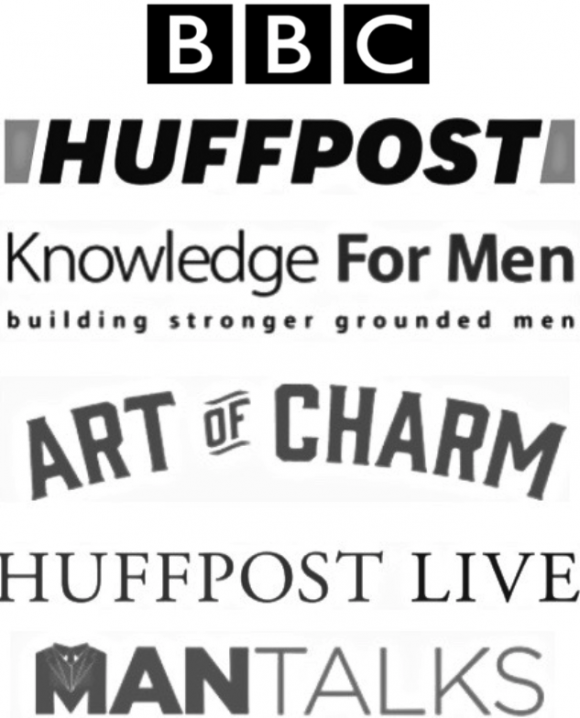 And another one for the Knowledge for Men podcast. I offer an audiobook version of my guidebook Overcoming Retroactive Jealousy and a guided meditation on this page. Could you give me free one-on-one retroactive jealousy coaching? If you’re interested in one-on-one support, please sign up for the coaching package as part of my online course, or book a call with me. How long will it take me to overcome retroactive jealousy? It’s just about impossible for me to answer this question as I don’t know anything about your background, your personality, your relationship, your work ethic, etc. In short: I don’t know. What I can say is this: I have received many emails from students taking my premium course who tell me they made huge progress in as little as a week or two. BUT–these were students who were committed to change, and ready to put in the work. That truly makes all the difference–if the past 5+ years have taught me anything, it’s that the people who get over RJ are the ones who put in the work. No exceptions. I’m having suicidal thoughts/impulses. What should I do? Seek out a mental health professional in your area ASAP. Schedule an appointment, go to the hospital, do anything you need to do to get help. Any suicidal thoughts must be taken seriously, and you need an in-person intervention by a professional immediately. My work is not a remedy for suicidal depression. I’m really tired of feeling this way, and I want to get serious about putting retroactive jealousy behind me. What do you think I should do? I think the most important thing is to do something. Find a personal development plan, schedule an appointment with a therapist, pick up a new book, try something. Start getting serious about putting in the work to get your problem sorted. Your happiness, well-being, and your relationship depend on it. In 2013, I published a guidebook called Overcoming Retroactive Jealousy that readers have described as the “perfect first step” for getting serious about dealing with your problem. It’s quite affordable, and many people have found it helpful. 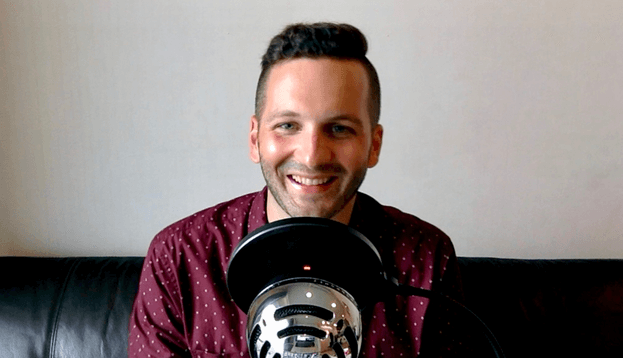 If you’d like a more detailed, in-depth, step-by-step blueprint for getting your RJ handled ASAP, I also offer an online course and (optional) private discussion group. It’s actually my partner, not me, who needs retroactive jealousy help. What should I do? I wrote an article just for you. After you read that one, here’s another article I wrote for the partners of people struggling with RJ. Are you a psychologist, or certified counsellor, or professional therapist, or…? No. I’ve spent a great deal of time researching, writing, and thinking about retroactive jealousy, but I don’t have any professional credentials in psychology or social work. I’m simply a man who went through retroactive jealousy myself, and arrived at certain insights and conclusions. And over the years, some people have found my insights and opinions helpful. I like helping people. Increasingly, as the years go on, my work (and the advice I offer on this site and in my course) is informed by the experiences of hundreds of other RJ sufferers, or ex-sufferers of RJ who’ve read my guidebook and written to me, or who participate in my private discussion group. If you’d like to read more about my own experience overcoming retroactive jealousy, click here. Will your guidebook or video course cure my jealousy overnight? No. Despite what some people might try to tell you, there is no “instant cure” for retroactive jealousy. Simply watching the video course, or reading my book, but failing to complete the exercises, or committing to personal development will probably only bring you temporary relief. It takes some effort on your part to see long-term results. But here’s the good news: most of the time, you only need to put in a little work to start seeing some significant improvement. Can you recommend some other good books that will help me overcome RJ? My retroactive jealousy isn’t that bad. It’s just an issue for me once in a while. Do you think it will eventually go away on its own? It’s possible, but unlikely. Judging by the thousands of emails I’ve received over the years, it seems that many people who suffer from RJ suffer for years and years, off and on, until they finally put in the work to put it behind them for good. For some people, retroactive jealousy might eventually resolve itself on its own (more or less), but it seems that for most people it’s a lifelong struggle; that is, until until they get serious about overcoming it. Hence, my work. I’m considering sleeping with other people/cheating on my partner in order to “even the score,” so to speak. Do you think this is a good idea? Do you think doing this will lessen the severity of my retroactive jealousy? I think cheating is morally reprehensible. Which is to say, it’s a jerk thing to do. I’ve received countless letters from RJ sufferers with… shall we say, very “colourful” pasts. Much more “colourful” than that of their partners, and these people still suffered from debilitating retroactive jealousy. That is to suggest: if your partner has more romantic or sexual experience than you, attempting to “even the score” probably won’t help. There are some shady people writing about retroactive jealousy on the internet. Are you a real guy? Here’s my personal website. Here’s my Huffington Post author page. Here I am on one of the most popular personal development podcasts on iTunes. Here is my goofy Instagram account. Yes, I’m a real dude. Because I was embarrassed. I still am, to some extent. It’s not easy to launch a blog, publish a book and course, and announce to the world that you once suffered from intense retroactive jealousy. You can probably understand being embarrassed more than most people. A recurring opening statement in the emails I receive from people struggling with retroactive jealousy is: “Please don’t share this email with anyone.” And I get it: retroactive jealousy can be humiliating; not the kind of thing you’d like the world to know that you’re experiencing. I wrote more about this issue of embarrassment here. Since I launched this site back in 2013, some internet marketers have begun copying my work. And although other websites might offer products using the title of my guidebook (Overcoming Retroactive Jealousy), please beware–I am not affiliated with products on other websites. My course and guidebook are ONLY offered on this website, and booksellers like Amazon, Barnes & Noble, iBooks, etc. Beware the imitators. What’s your number-one piece of advice for someone looking for retroactive jealousy help? As I wrote above, don’t just sit there: make sure you actually do something about it. If you decide that my guidebook or online course isn’t for you, of course that’s fine. I understand that my work isn’t for everyone. Just make sure you do something in order to start moving forward, and getting your problem handled. Don’t wait for your retroactive jealousy to take care of itself, because, unfortunately, it probably won’t. And if your current course of action (or inaction) isn’t working for you, you owe it to yourself, and your partner, to try something different. Seek out and commit to a personal development plan, make an appointment with a doctor or therapist, confide in a trusted friend or relative, go off and meditate in a cave for a few days. Try something, anything, that might get you closer to finding the way forward. Commit to seeking out the retroactive jealousy help you need. Once you try something new, and you give it a bit of time to work for you, take some time to reflect on it. Ask yourself: is this new strategy helping me? Am I benefitting from this? If the answer is ‘yes,’ keep doing it, and at the same time experiment with other potentially-complimentary tactics and strategies. And if the answer is ‘no,’ try something else. The point is to reject self-pity and inertia. Don’t submit to depression, or feeling helpless (or hopeless). Don’t think of yourself as a victim. If you want something in your life to change, whether it’s retroactive jealousy or anything else, you have to stand up, dust yourself off, and commit to change, commit to trying something new. And don’t stop trying new things until you find a plan that works for you. If you need some retroactive jealousy help, and you’re ready to be over and done with RJ for good, it isn’t an option for you to wait for your pain and anxiety to go away without any effort. Overcoming retroactive jealousy takes a bit of work. If you take away nothing else from my work, and this website, I ask you to consider the fact that our time on this earth is so, so precious. So don’t waste it dealing with retroactive jealousy for any longer than you have to. Make a decision to take action right now. Join over 900 men and women liberated from retroactive jealousy.